Which schools made it onto our list of Top 30 Best Online Schools for Computer Science and IT Degrees 2017? A good quality curriculum, accreditation, and rankings with major publications are key considerations when selecting an online computer science degree program. Not all of these programs are self-paced, but they do offer students the option of studying at a time which is convenient for them, making them beneficial to working students. People who know that they want to go on to obtain a master’s degree in computer science may want to consider an accredited bachelor’s program that allows students to combine the coursework for both degree programs. 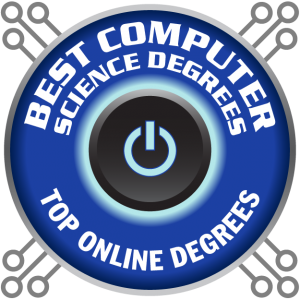 We profile the top 30 best online schools for computer science degrees. We reviewed approximately 90 accredited colleges and universities that offered online bachelor’s in computer science or related IT degree programs. We gathered information from the National Center for Education Statistics (NCES College Navigator). We then looked at university or program rankings with major publications like US News and World Report and selected institutions that had received regional, national, or program rankings. We then listed the schools in order of affordability. Below are the resulting selections for our top 30 online schools for computer science degrees. 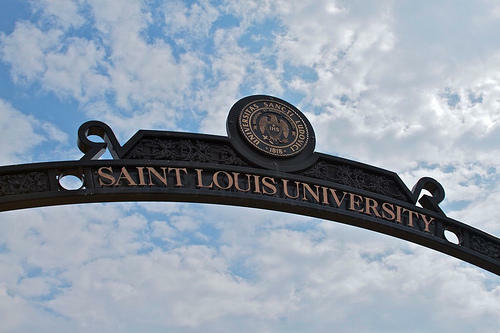 Saint Louis University offers an accredited online computer science type of program. Saint Louis University offers an accredited online bachelor’s in computer science degree program that focuses on computer information systems. This program can be completed entirely online through the school’s distance learning option. Three specialization tracks are available and designed for students to tailor their undergraduate degree toward career goals or personal interests. These specializations include data analytics, health care information systems, and information security and assurance. 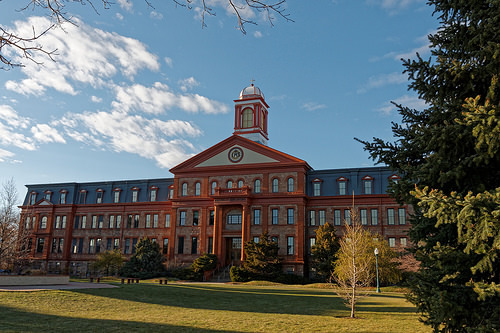 Saint Louis University is ranked with major publications like US News and World Report as the 96th best national institution and 55th best value school, and is one of our top picks for online computer science degrees. 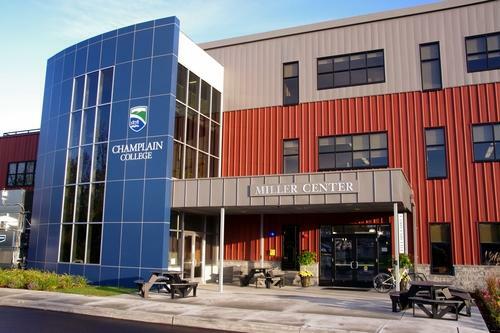 Champlain College offers a top-ranked online bachelor’s in computer and information systems. One of the top online bachelor’s computer science degrees on our list is offered by Champlain College–a top-ranked private institution. The school offers a bachelor’s in computer and information systems (CIS) that can be completed entirely online. Courses are taught by the same professors who instruct on campus and are offered in 7 and 15-week durations. Several certificate options are also available for students to add onto their degree. The program is accredited and the school is ranked by major publications like US News and World Report. In fact, Champlain is ranked as the 91st best regional university in the North and the 3rd most innovative school. Also, the online bachelor’s programs are ranked #148 out of more than 1,200 programs surveyed by US News. 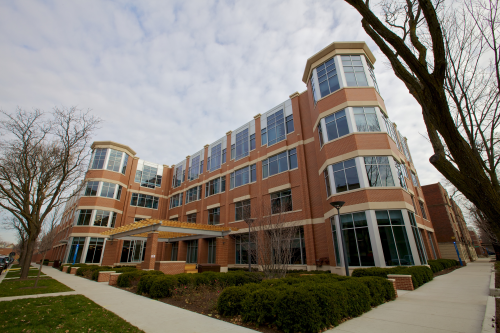 DePaul University’s online bachelor’s in computer science is an accredited program. The online bachelor’s in computer science degree program from DePaul University is an accredited online program designed for transfer students who want to complete an online bachelor’s in computer science. Students must be in good standing from their previous school and have a minimum GPA of 2.0 and have completed 30 semester hours of credit. Courses are delivered online and taught by the same professors who instruct on campus. These courses include computer systems, data analysis, design and analysis of algorithms, LSP learning domain, and object-oriented software development. DePaul is ranked by US News and World Report as a top national university and the 70th best value school in the country. Regis University offers an online bachelor’s in computer science. Regis University’s online bachelor’s computer science degrees are accredited by the Computing Accreditation Commission of ABET and are designed to expose students to a broad foundation of theory and practice. The online bachelor’s program may be completed entirely online and works in tandem with the master’s program also available through Regis. Several concentration options allow students to tailor their degree toward personal interests and career goals. These concentrations include computer engineering, computer information systems, and computer science. Regis is ranked by US News and World Report as the 23rd best regional university in the West. Also, the online bachelor’s programs are ranked #156 out of more than 1,200 surveyed programs. 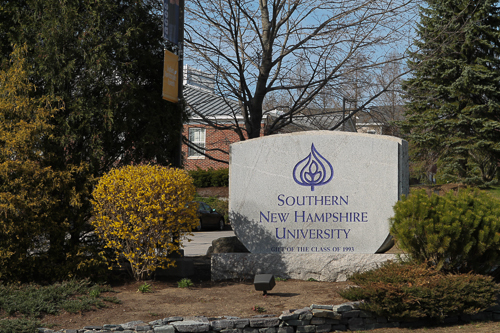 Southern New Hampshire University’s online bachelor’s in computer science offers fast-paced courses. Southern New Hampshire University’s computer science online degree programs include the bachelor’s in computer science. This completely online program is designed for working and busy students who want to earn an undergraduate degree in computer science but do not have time to attend traditional on-campus classes. Courses are delivered online, and students are able to work at their own pace over the course of six eight-week terms per year. These courses include collaboration and team projects, data structures and algorithms, foundation in application development, introduction to structured query language, and object oriented analysis and design. Southern New Hampshire is accredited and ranked with major publications like US News and World Report. In fact, the publication ranks the school #101 for best regional universities in the North and the #1 most innovative institution. Lewis University’s online bachelor’s in computer science is 100% online. The online bachelor’s in computer science program at Lewis University is an accelerated degree designed for busy and working students. The 100% online format provides 24/7 online access to coursework, content, and assignments. Courses are taught by the same professors who instruct on campus. These classes include algorithms and data structures, communications and networking, discrete mathematics, introduction to computer science, object-oriented programming, and programming fundamentals. All classes are structured in eight-week increments. Lewis is ranked by US News and World Report as the 24th best regional university in the Midwest and the 37th best value school. Gardner-Webb University’s computer science degree is a 33-credit program. 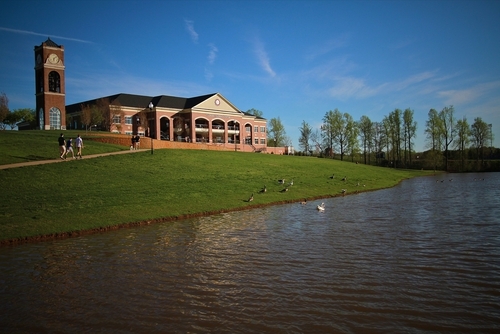 The Broyhill School of Management at Gardner-Webb University offers a computer science online degree program that explores topics in computer programming, database and information management, and software engineering. Students earn a bachelor’s in computer information systems, which may be completed entirely online. The 33-credit hour program does accept transfer students, but at least 15 major credits must be completed at Gardner-Webb. Major publications like US News and World Report rank Gardner-Webb as a top national university. Also, many of the school’s online programs have earned rankings with US News. The school is one of our top picks for online computer science degrees at the undergraduate level. 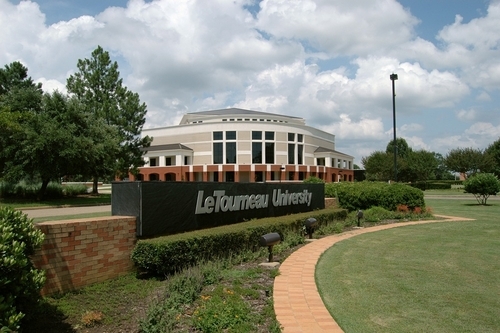 LeTourneau University’s online bachelor’s in computers is top-ranked and accredited. LeTourneau University’s online bachelor’s computer science degrees offer flexible options for students who are unable to attend traditional on-campus classes. Classes are delivered online and taught in an accelerated format that allows you to finish each course in just five weeks. Some of the courses offered include database management, operating systems, programming for information systems, software engineering, and web development. Students develop skills that are applicable to areas of the computer industry, including data processing, design, hosting, and software publishing. LeTourneau is ranked by US News and World Report as the 27th best regional university in the West and the 4th best value school. Limestone College’s online bachelor’s in computer science offers affordable options. 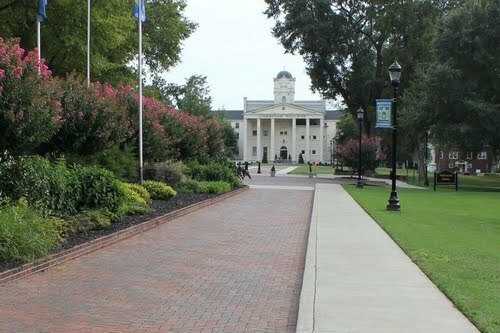 The computer science online bachelor’s degree at Limestone College is an accredited and affordable program that helps prepare students for careers in computer science and related industries. Classes can be taken on campus or online and are taught by the same instructors who teach traditional courses. These classes include advanced microcomputer applications, computer compliance and regulations, information security and risk management, introduction to computer science, operating systems and networking fundamentals, and security architecture and design. Limestone is ranked by major publications like US News and World Report as the 41st best regional university in the South, and its online bachelor’s programs rank #175 out of more than 1,200 surveyed programs. Saint Leo’s online bachelor’s in computer science is 100% online. 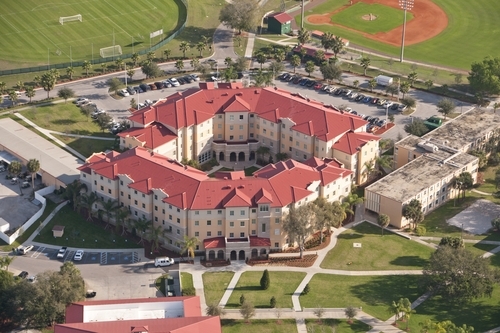 Saint Leo University’s computer science online bachelor’s degree program is a 100% online degree that offers an information assurance specialization for interested students. The program offers online courses that are taught by university professors and the same instructors who teach on campus. In fact, the online program mirrors the online counterpart. Classes include algorithms and data structures, computer architecture, computer systems, introduction to information security, network theory and design, and software engineering. Saint Leo is ranked by US News and World Report as the 62nd best regional university in the South and the 26th best value school. Also, the online bachelor’s programs are ranked #59 out of more than 1,200 surveyed programs. 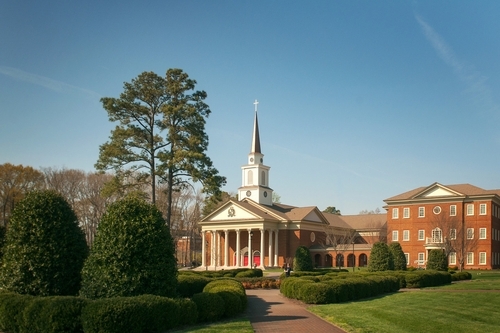 Regent University’s online bachelor’s in computer science program incorporates Christian beliefs. Regent University’s computer science online degree program is offered exclusively online and from a Christian perspective. This 120-credit program incorporates ethical and social challenges connected to the careers of tech personnel and leaders. Classes are taught by the same professors who instruct on campus. These online courses include database fundamentals, data structures and algorithms, ethics for computer science, introduction to computer science, operating systems, parallel and distributive programming, and software engineering. Regent is a nationally ranked institution by major publications like US News and World Report. Also, the online bachelor’s programs are ranked #36 out of more than 1,200 surveyed programs. Penn State is one of our top online schools for computer science degrees. Pennsylvania State University’s World Campus offers an online program that is applicable to those interested in computer science. This 125-credit hour degree program is designed to prepare students for careers in the IT industry. Courses are delivered online and taught by the same professors who teach on campus. These courses include foundations of human centered design, information and organizations, introduction to C++ programming, networking and telecommunications, organization of data, and the engineering of complex software systems. 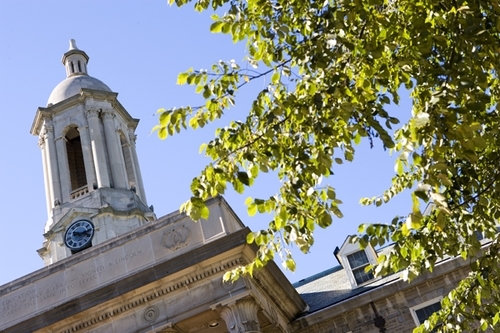 Penn State is ranked by major publications like Forbes magazine and US News and World Report. In fact, US News ranks the school as the 50th top national university and 14th top public institution. 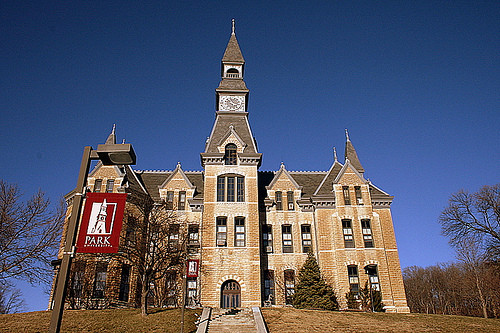 Park University’s online bachelor’s in computer science is top ranked. Park University’s computer science online bachelor’s degree program is designed for students who want to gain a broad range of computer skills that are applicable to careers in the industry. The accredited program offers several IT and computer science competencies that demonstrate knowledge and understanding. Four concentrations allow students to tailor their bachelor’s degree toward areas of interest like computer science, data management, network security, and software engineering. 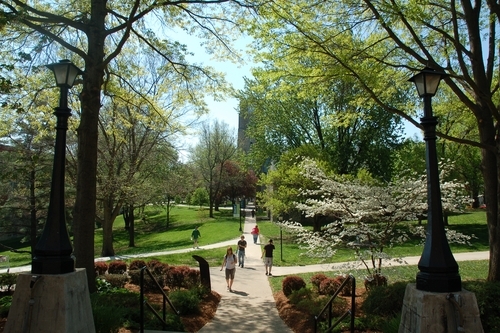 Park University is ranked by major publications like US News and World Report as a top regional university in the Midwest. Also, the online bachelor’s programs are ranked #220 out of more than 1,200 surveyed programs. Top-ranked and accredited. 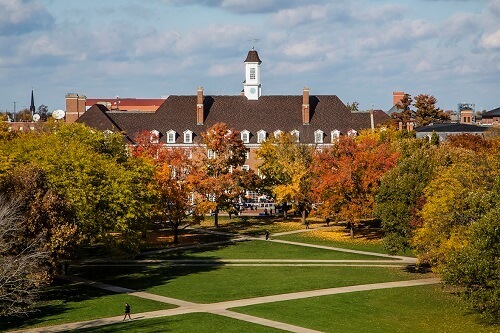 University of Illinois is a top school for online computer science degrees. The University of Illinois offers a computer science online degree program for qualified individuals looking to earn a bachelor’s in computer science. Courses are delivered online and taught by the same professors who instruct on campus. Some of these courses include applied statistics, computer programming concepts, discrete structures, foundations of computer science, introduction to operating systems, programming languages, and software engineering. Several electives are also offered so that students may explore areas of interest and meet career goals. 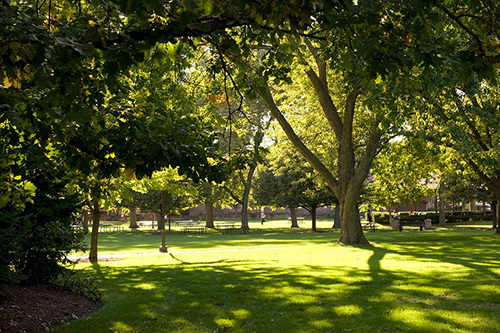 The institution is ranked by US News and World Report as the 63rd best regional university in the Midwest and 13th top public school. Also, the online bachelor’s programs are ranked #54 out of more than 1,200 surveyed programs. Colorado Tech’s online bachelor’s in computer science program offers three concentrations. Colorado Technical University’s online bachelor’s computer science degrees offer three concentration areas: Data science, general, and software engineering. Courses may be completed online and are taught by the same professors and instructors who lead on-campus classes. Some of the required courses include applications of discrete mathematics for computer systems and IT, computer algorithms, computer architecture, introduction to programming, introduction to database systems, mobile programming, principles of operating systems, and software engineering. 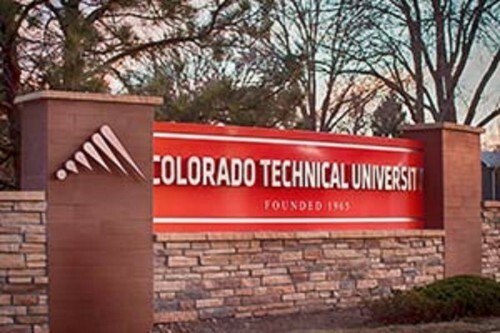 Colorado Technical is ranked by US News and World Report as a top regional university in the West. Also, the online bachelor’s programs are ranked #81 out of more than 1,200 surveyed programs. ASU offers an online computer science degree that focuses on internet and web development. While Arizona State University’s online bachelor’s in internet and web development is not the typical computer science online bachelor’s degree, the program does cover many elements of a computer science degree. The 60-credit hour degree is designed for those with an earned associate of applied sciences (AAS) from an accredited institution. Courses are taught online by university professors and include computer systems technology, enterprise planning and implementation, multimedia design, planning and storyboards, and website and e-commerce strategies. A total of 20 classes are required, and most courses last just 7.5 weeks. 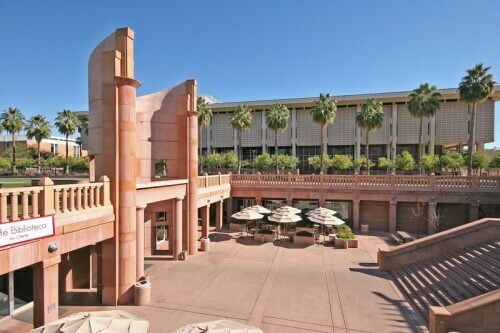 ASU is ranked by US News and World Report as a top national institution. Also, the online bachelor’s degrees are ranked #4 out of approximately 1,200 surveyed programs. Oregon State University’s online bachelor’s in computer science is top-ranked. 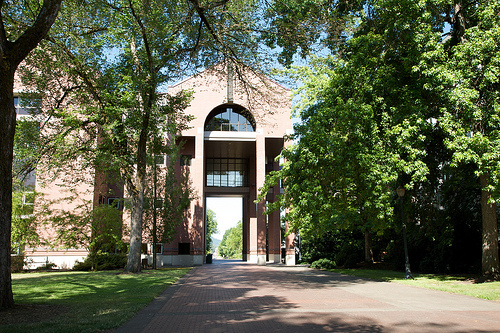 Oregon State University’s E-campus offers an online computer science bachelor’s degree with one-year, two-year, three-year, and four-year track completion options. Courses are delivered online, and the program mirrors the curriculum and content delivered in the on-campus program. Classes are taught by university professors and include analysis of algorithms, computer architecture and assembly language, database management systems, introduction to usability engineering, mobile and cloud software development, operating systems, and software engineering. Oregon State is ranked by major publications like US News and World Report as the 143rd best national institution in the country. Also, the online bachelor’s programs are ranked #8 out of more than 1,200 surveyed programs. 100% online! 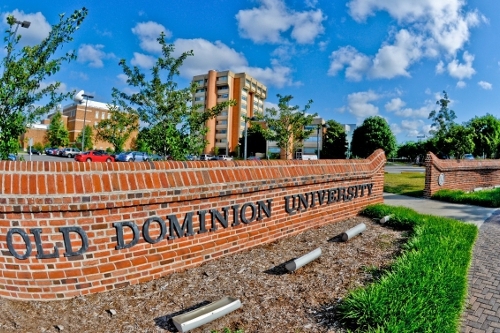 Old Dominion University is a top online school for computer science degrees. The computer science online degree program for undergraduates at Old Dominion University is a flexible online program designed for working students and those with obligations that do not allow them to attend traditional classes. The conveniently designed online program requires at least 30 credit hours to be completed at Old Dominion. Courses are taught by university professors and include advanced data structures and algorithms, computational methods and software, computers in society, introduction to discrete structures, introduction to software engineering, operating systems, principles of programming languages, and systems design. The university is ranked by US News and World Report as a top national institution and best public school. Also, the online bachelor’s programs are ranked #63 out of more than 1,200 surveyed programs. Southern University and A&M College offers a top online bachelor’s in computer science. 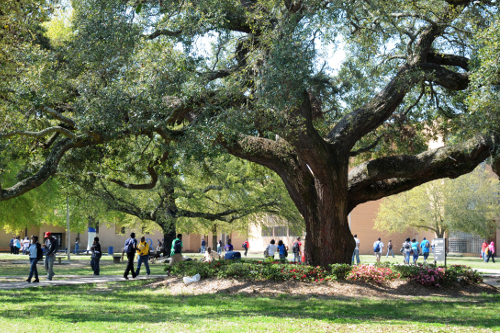 Southern University and A&M College offers a top-ranked computer science online bachelor’s degree program designed to provide graduates with a strong foundation in computer science-related knowledge and applications. Fundamental concepts are taught and include computer organization, database systems, management information systems, operating systems, and software engineering. Admission to the program for high school graduates requires a minimum GPA of 2.0 or better and ACT and SAT qualifying test scores. Major publications like US News and World Report rank the school as a top regional university in the South and the 40th best historically black college in the country. Baker College’s online bachelor’s in computer science program is highly affordable. Baker College’s online bachelor’s computer science degrees are among the most affordable programs on our list. The online bachelor’s in computer science is designed for working students and those who are unable to attend traditional on-campus classes. All courses are delivered online and include advanced computer architecture, advanced visual basic, computer architecture, database fundamentals, introduction to programming, principles of computer science, and systems development methods. A series of electives can be used to tailor the degree toward career goals or personal interests. 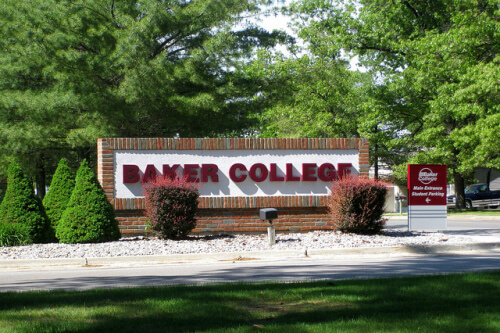 Baker College is ranked by US News and World Report as a best regional college in the Midwest. Dakota State’s computer science degree programs are fully online. Dakota State University’s online bachelor’s in computer science is a fully online program that prepares undergraduates for careers in computer science and related computer fields. Courses are delivered online to provide flexibility for working and busy students who do not have time to attend traditional classes. These courses include computer science, database management systems, data structures, information security fundamentals, introduction to computers, programming languages, and structures systems analysis. 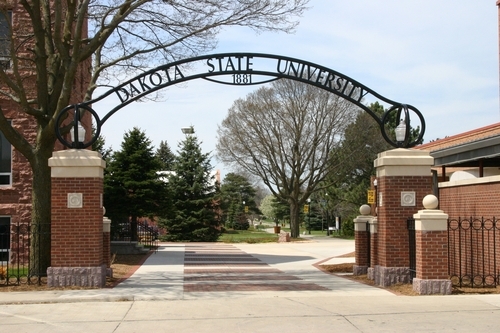 Dakota State is ranked by major publications like US News and World Report as the 108th best regional university and 32nd top public school in the country. It is one of the most affordable schools on our list for an online bachelor’s in computer science. 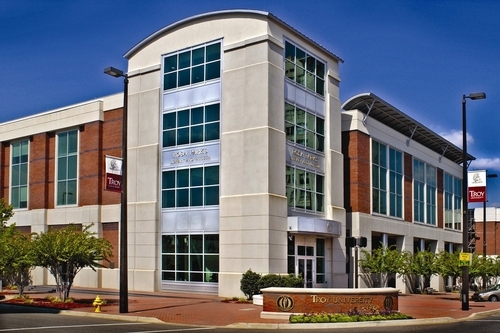 Troy University is a best online school for computer science degrees. Troy University’s computer science online degree program offers the option of mixing traditional classroom courses with online options. For those with busy schedules, a fully online pathway toward the bachelor’s degree is offered. Classes are delivered online and taught by university professors with relevant experience in computer science. These classes include analysis of algorithms, applied discrete mathematics, concepts of object-oriented programming, data communication and networking, formal languages and the theory of computation, introduction to computer organization and architectures, and software engineering. Troy is ranked by US News and World Report as the 69th best regional university in the South and 23rd top public school. Also, the online bachelor’s programs are ranked #226 out of more than 1,200 surveyed programs. University of Maryland’s online bachelor’s in computer science is an affordable program. University of Maryland University College offers a 120-credit online bachelor’s in computer science degree designed for working and busy students. Coursework can be completed entirely online or in a hybrid format. These courses are taught by university professors who often instruct on campus. Courses include advanced programming languages, current trends and projects in computer science, data structures and analysis, design and analysis of computer algorithms, object-oriented and concurrent programming, and operating systems. The institution is ranked by major publications like US News and World Report as a top regional university in the North. 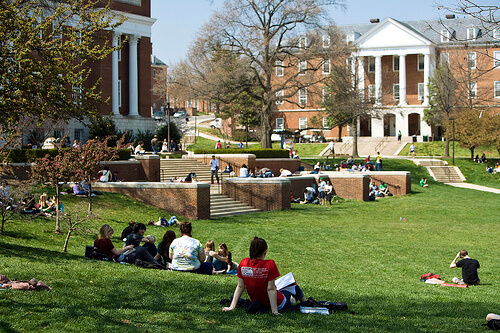 University of Maryland is one of the most affordable online schools for computer science degrees. Florida State University’s online bachelor’s in computer science is a top-ranked degree. Florida State University offers a computer science online bachelor’s program that follows the same curriculum as the on-campus degree. The 120-credit program can be completed in two years for full-time students or four years for part-time students. All courses are delivered via the internet and are taught by the same professors who instruct on campus. Online courses include computer organization, data structures and generic programming, discrete mathematics, mobile programming, programming, and theory and structure of databases. 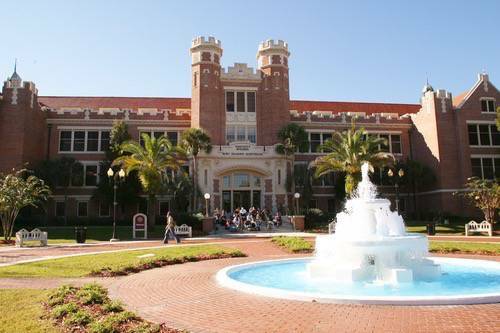 Florida State is a top-ranked national institution by major publications like US News and World Report. Also, the online bachelor’s programs are ranked #36 out of more than 1,200 surveyed programs. California State University is a top ranked online school for computer science. 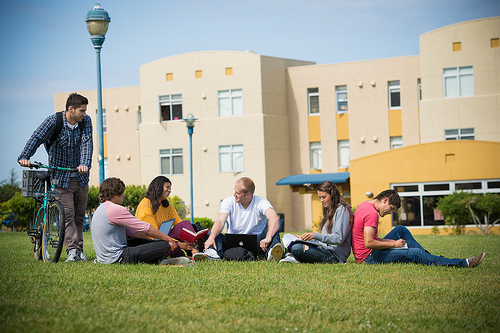 California State University at Monterey Bay offers a computer science bachelor’s degree that can be completed entirely online. This fast-paced program offers online courses taught by the same professors who instruct on campus. Courses infuse hands-on and team-driven projects with theory and application. These courses include design and analysis of algorithms, ethics in communication and technology, introduction to database systems, software design, software engineering, and technology tutors. Cal State is ranked by major publications like US News and World Report as the 58th best regional university in the West and the 13th top public school. It is one of our most affordable schools. Thomas Edison State is an affordable online school for computer science degrees. Thomas Edison State University offers an online bachelor’s in computer science degree program that is designed to prepare adults for career changes, advancement, or graduate education programs in computer science or related fields. Courses are delivered online and include both application and theoretical practices. These courses are taught by the same professors who instruct on campus. Courses include assembly language, computer architecture, computer information systems, computer statistical techniques, operations research, problem analysis and solution, programming languages, and switching theory and automata. 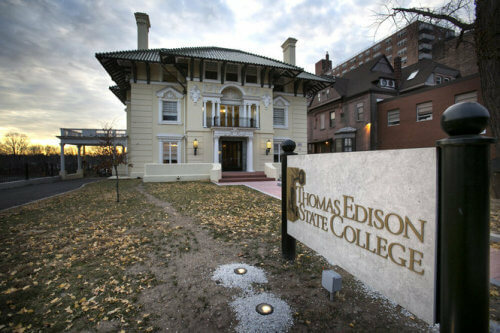 Thomas Edison State is ranked by US News and World Report as a top regional university in the North and is one of the most affordable schools for computer science on our list. Central Methodist University is a highly affordable school for an online bachelor’s in computer science. Some of the most affordable online bachelor’s computer science degrees on our list are found at Central Methodist University. Admission requires a high school diploma or its equivalent and a cumulative GPA of at least a 2.5. Transfer students are admitted but must meet the 2.0 GPA minimum. Classes are delivered online and include computer architecture and operating systems, data structures and algorithms, programming in visual basic, programming with Java, and survey of programming languages. Several electives allow students to tailor their degree to fit career goals or satisfy personal interests. Central Methodist is ranked by US News and World Report as the 26th best regional college in the Midwest. Fort Hays State is a top online school for computer science. One of the most affordable online schools for computer science degrees on our list is Fort Hays State University. The bachelor’s program offers two specialization pathways, including business and networking. Courses are taught by the same professors who lead the on-campus computer science program. These classes include computer operating systems, computer science, data structures and algorithm design, foundations of computing, java programming, programming languages, orientation to computer science, and systems architecture. 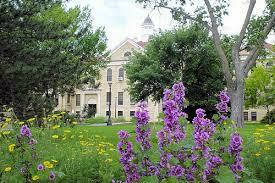 Fort Hays State is ranked by US News and World Report as a top regional university in the Midwest. Also, the online bachelor’s programs are ranked #15 out of more than 1,200 surveyed programs. BYU offers an online bachelor’s in computer IT that’s top ranked and affordable. 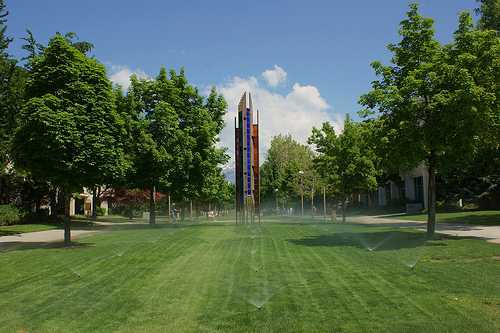 One of the top computer science online bachelor’s degrees on our list is offered by Brigham Young University’s Idaho campus. Students may earn a bachelor’s in computer information technology that may be completed entirely online. Courses include database administration, database design and development, introduction to programming, object oriented programming, operating systems, system analysis and design, systems security, and web frontend development. A series of electives may be taken and tailored toward degree goals or personal interests. BYU is ranked by major publications like US News and World Report as the 10th best regional college in the West and is one of the most affordable online schools for computer science degrees. University of Florida is the most affordable online school for computer science degrees on our list. University of Florida’s online bachelor’s in computer science is a top-ranked program designed to meet the needs of working and busy adults. The undergraduate degree program offers online courses that are flexibly delivered with access to curriculum at all hours of the day/night. University professors teach the online courses, and classes are capped at a reasonable student number. Online courses include applications of discrete structures, data structures and algorithms, digital logic and computer systems, introduction to computer organization, operating systems, and programming fundamentals. 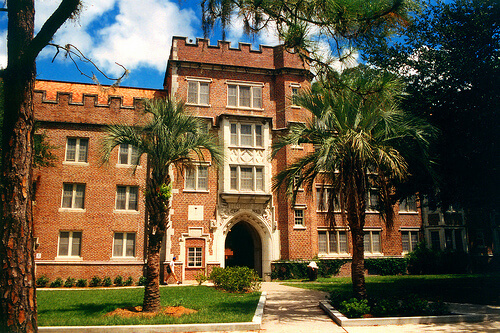 University of Florida is a top-ranked national institution. In fact, US News and World Report ranks the school as the 50th best national university and 14th top public school. Also, the online bachelor’s degree programs are ranked #20 out of more than 1,200 surveyed programs. For those pursuing further study, see our recommendations in online master’s in computer science degree programs. This concludes our recommendations in top online computer science degrees for 2017.